New Delhi, March 11 - In a country where even someone like Shane Warne struggled, Australian leg-spinner Adam Zampa has been a revelation, to say the least. Not only has he picked six wickets from the first four ODIs against India, but has also dismissed MS Dhoni twice and Kohli once -- two of India's best players of spin. 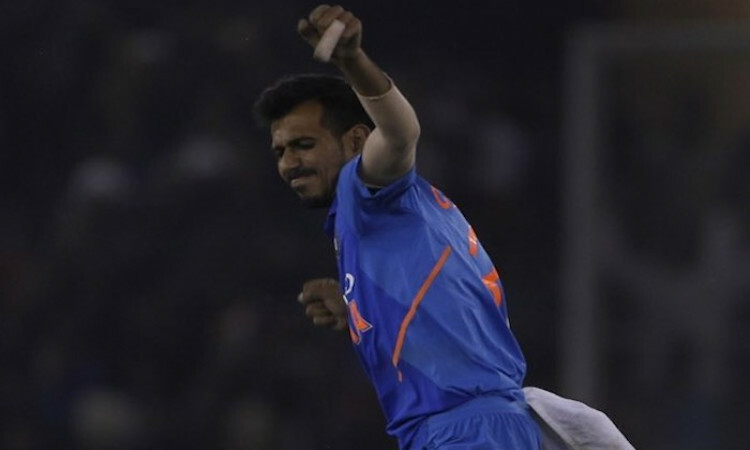 In stark contrast, Indian leg-spinner Yuzvendra Chahal went for 80 runs from his 10 overs in Mohali and picked just one wicket. While some pundits have been critical of Chahal's showing in the fourth ODI in the ongoing five-match series against Australia, former Sri Lanka spinner Muttiah Muralitharan feels Chahal is a champion performer who is only human and not a robot. "You cannot expect the kid to pick five wickets every time he goes out to bowl. He is a champion bowler and has been bowling really well in the last two years. He has shown that he has the variety and the guile to dismiss opposition batsmen. It is a case of him failing in one game and trust me, he is no robot. You cannot put pressure on the boy by expecting him to deliver in every game. Have some patience," he told IANS. Interestingly, former India spinner EAS Prasanna also echoed the sentiment and said, "one game doesn't change anything." "How many games has he played? Around 50 (41)? Are you telling me he has played so many ODIs for the country just like that? Let us be patient with the boy. I think the Australian players have over the years become good players of leg-spin and there is no reason to worry. He has the caliber and has proved himself in the last couple of years," he said. Asked what was going wrong for the leg-spinner because his Australia counterpart Zampa has done well in the four games, Prasanna said: "Just because Zampa has picked wickets, Chahal is to be questioned? I don't feel that is necessary because he has played only one game in the series so far."